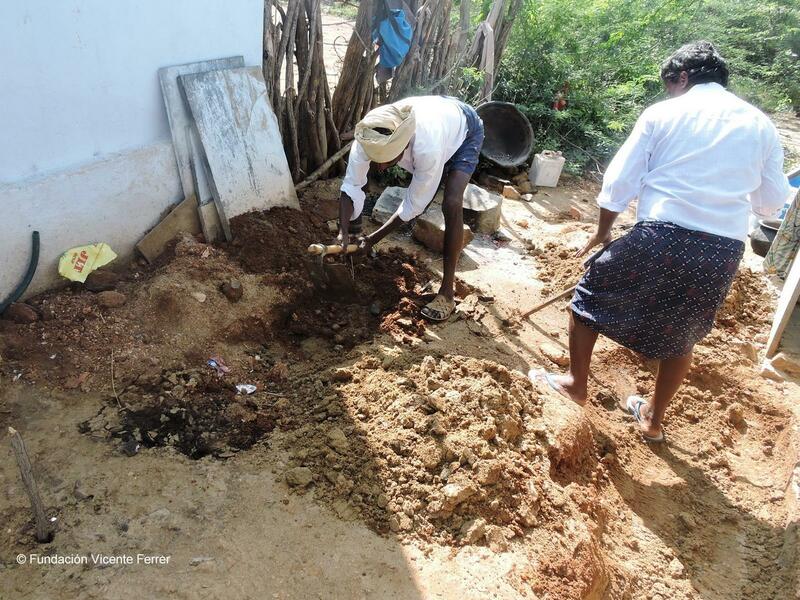 75 families in the villages of Namala, Thumcherla and Kondalavandlapalli. These 75 families are made up of 314 people. 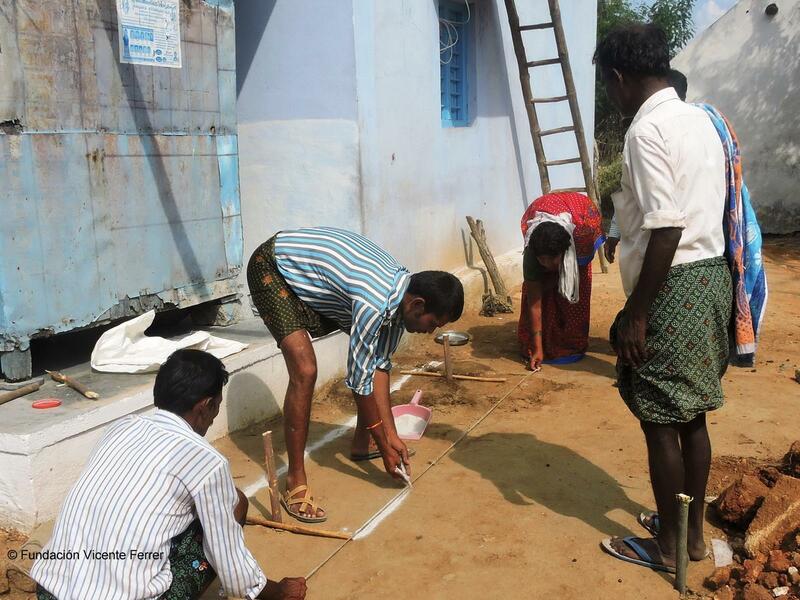 With this project, 75 sanitation facilities will be built in the villages of Namala, Thumcherla and Kondalavandlapalli, located in the Dharmavaram, Mamillapalli and Gandlapenta areas, in the Bathalapalli and Kadiri regions, for those people in the most disadvantaged communities that do not have a bathroom. Having a space for their hygiene is above all, an essential requirement for these families to improve their health, hygiene and safety. 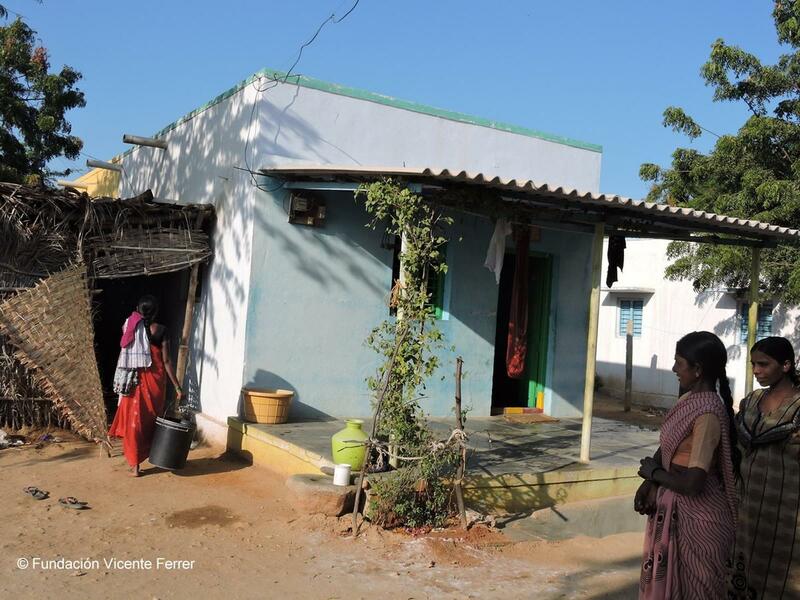 In India, the disadvantaged communities live in huts far away from the upper castes and isolated from the few public services offered by the government. 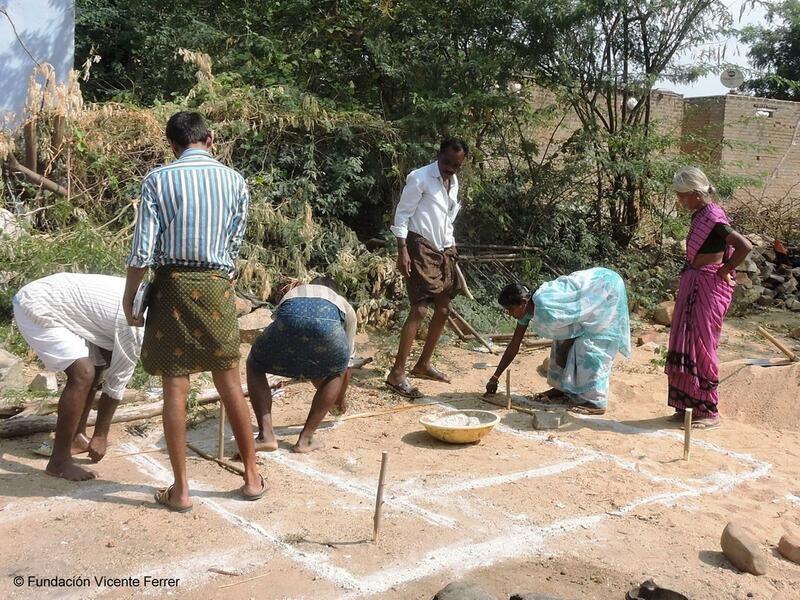 Their situation within the social structure forces them to be a step behind all other castes, and therefore they usually live beside the roads, in very poor conditions and without sanitary services. In this context, nearly 600 million Indian people are forced to defecate in the open, as there is no latrine within their reach. The consequences for public health are disastrous, especially for the most vulnerable groups of population: women, children and disabled people. In order to end this practice, the Indian government launched the campaign “Clean India Mission” in October 2014, naming the Vicente Ferrer Foundation ambassador of the programme. 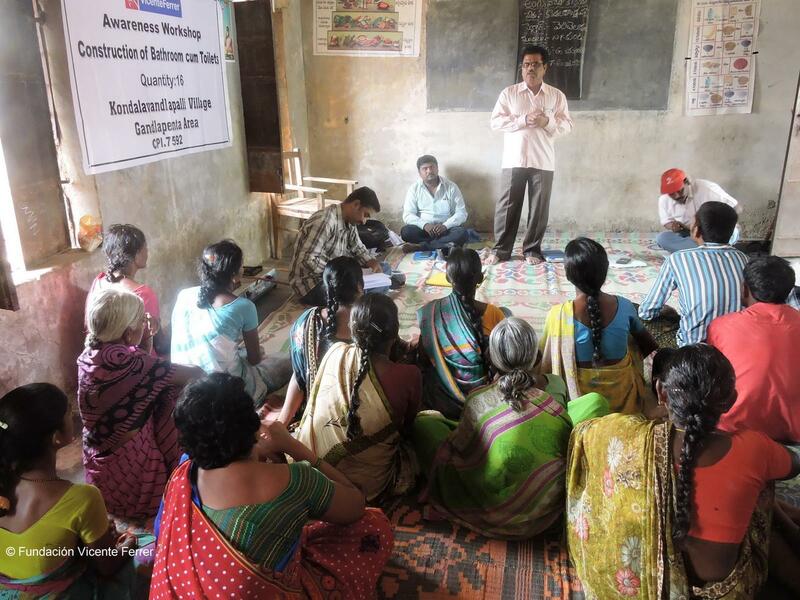 General Objective: to promote the right to a suitable standard of living of the most disadvantaged rural population of Andhra Pradesh, India, improving its safety, health and environment. 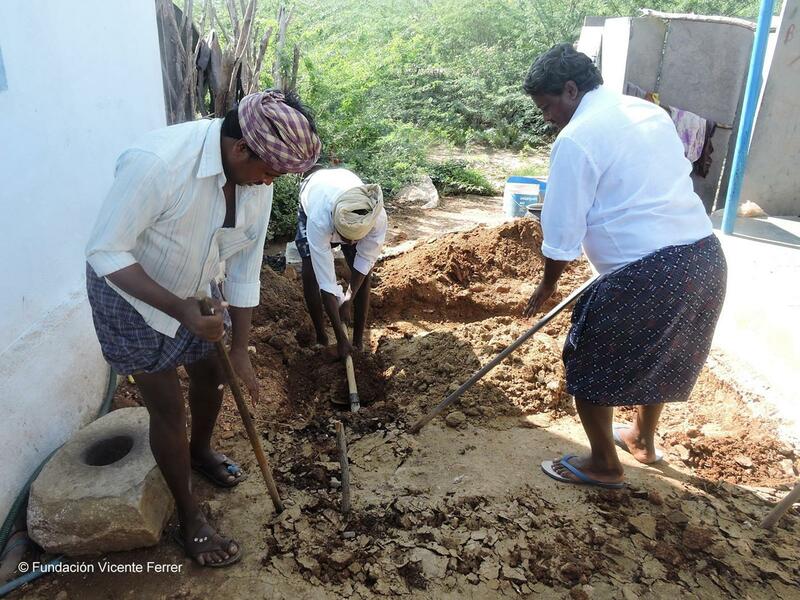 Short term: to provide sanitation facilities with toilet and a space for personal hygiene for 75 families in the Namala, Thumcherla and Kondalavandlapalli villages. These facilities will constitute the necessary means to develop good practices of hygiene and healthiness. Long term: to reduce diseases, as well as the dangers of the population of Andra Pradesh related to overcrowding and unhealthiness. 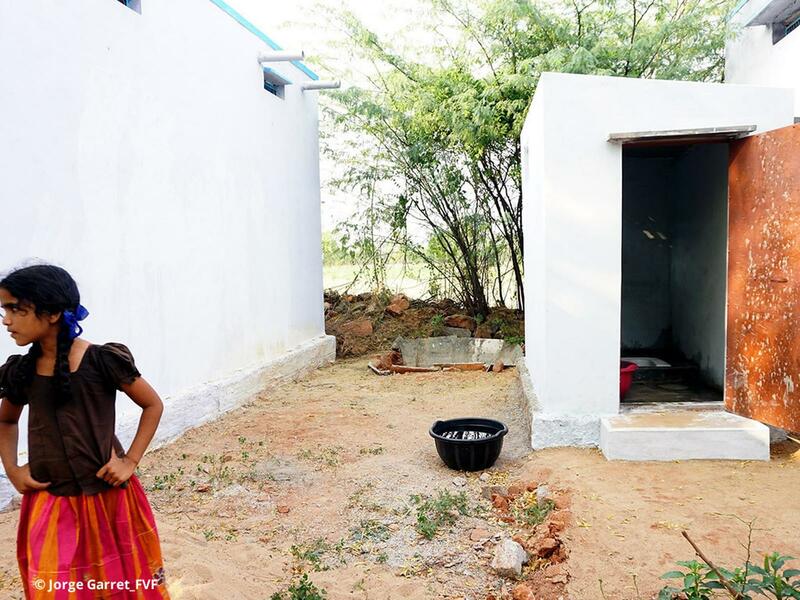 The base of the project is the construction of 44.000 toilets in more than 400 villages in the Anantapur and Kurnool districts. This will be a great change of mentality that will contribute to create decent sanitary spaces that preserve the privacy of people and help prevent sexual assaults to women. 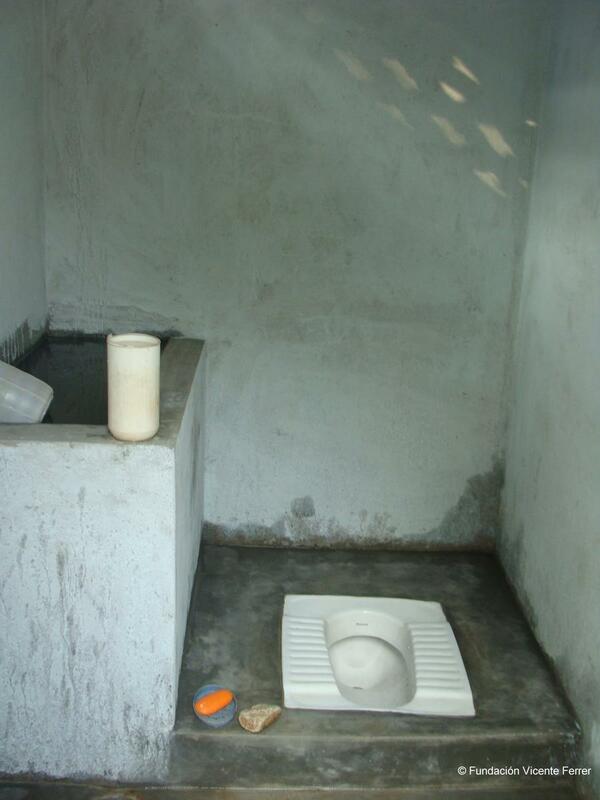 The project focuses on the construction of sanitation facilities, with the necessary conditions of healthiness, hygiene and safety for all beneficiaries. The supply of toilets (latrines) and a space for personal hygiene in homes will improve the living conditions of people and the environment.